Instagram is an increasingly important actor in the social media scene. In the last six months the app has increased its active user base by 23%, which made it the 6th biggest social media community in the world. All that makes the platform a great place to promote your biz. But when it comes to Instagram marketing, the app lacks some important functionality, which makes managing accounts away from your mobile phone quite a challenge. Yes, Instagram introduced Web interface. But it still doesn't let users interact with their following, doesn't support lots of useful features and can't work as a fully-fledged internet marketing tool. and even enhance your photo experience. So let's have a closer look at each of the tools. 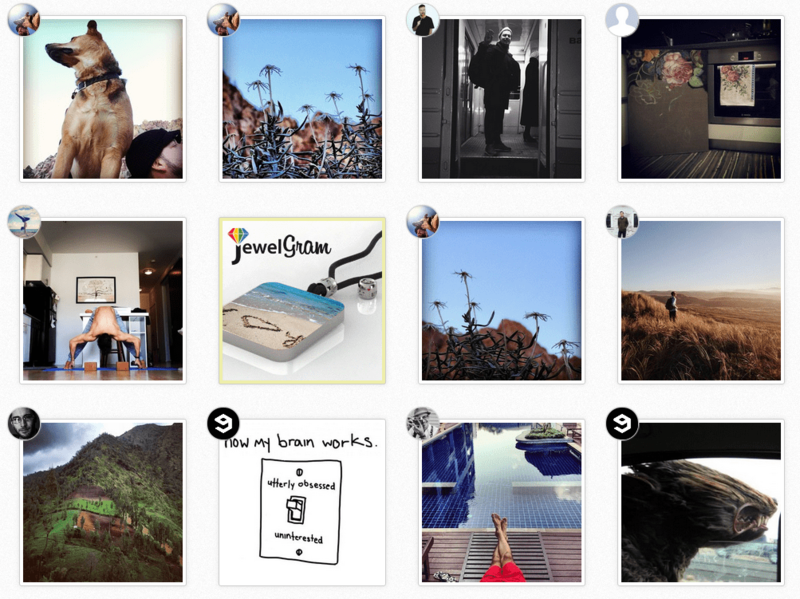 Gramfeed is a free online-based app that brings Instagram feed to the Web. 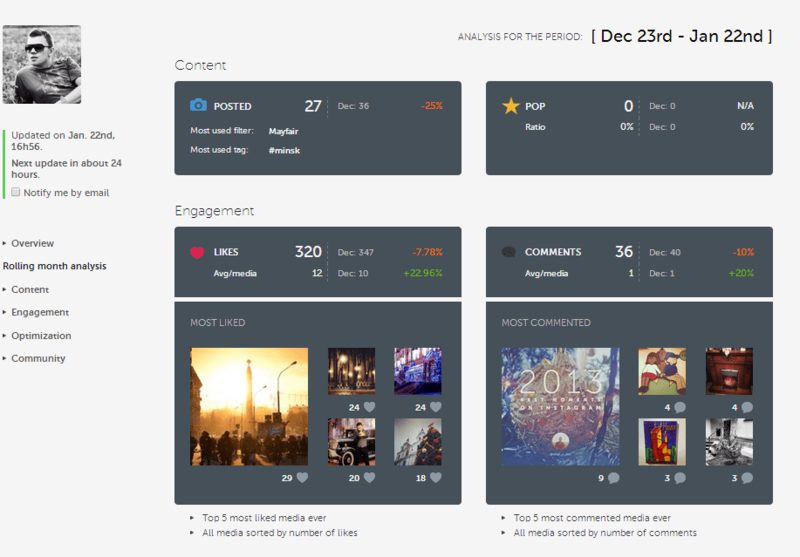 The Gramfeed's interface is user-friendly and very intuitive. The main menu is located at the top of the page and all features are launched by clicking on the corresponding buttons. For example, by hitting Discover Brands And People button you can check the most popular Instagram accounts in practically any niche – from fast food and retail to fashion and hi-tech. All accounts are conveniently grouped around most popular topics. This is a very useful feature since it lets you find the most influential players of your niche and analyze what promotion strategies they utilize on Instagram. This option also lets you interact with your niche influencers, find new real followers, etc. By using advanced search filters, you can find the most popular pics to comment on, find out more info about your local competition, engage with the most influential businesses of your niche, and a lot more. Unfortunately the tool isn't very good with browsing videos at the moment. Videos are not included into the main feed, but Gramfeed's Video Roulette feature gives you a glimpse into Instagram users' videos by pulling up random Instagram video clips. Another little inconvenient is that the app displays adds on your feed. But upon the whole Gramfeed is great. It is quite popular with users, and even has an official blog where one can find interesting posts about Instagram (and everything related to it). Statigram is another cool Web Interface for Instagram. It is popular with users mainly because of the statistics it provides. When you sign in, you will see the latest photos your friends uploaded. You can either view all pictures at once, or you can go to My Following and create groups of your friends there by clicking on the circle icon. Groups then will work as filtering options on you main feed. This feature will let you unclutter your newsfeed and view only the images you need. 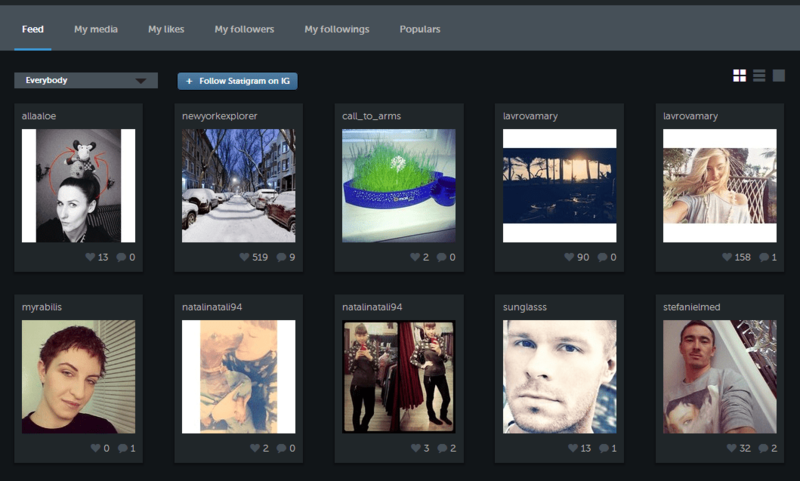 Statigram offers perhaps the largest set of options to interact with your following. If you click on any picture, you can like or comment it, as well as sharing that image on various social networks. But what businesses love most about Statigram is the statistics. Jump to the Statistics tab, and you will see a brief overview of your Instagram activity plus the information for any activity within the last seven days. the way your personal Instagram community develops. This is invaluable data for shaping an efficient Instagram promotion strategy! 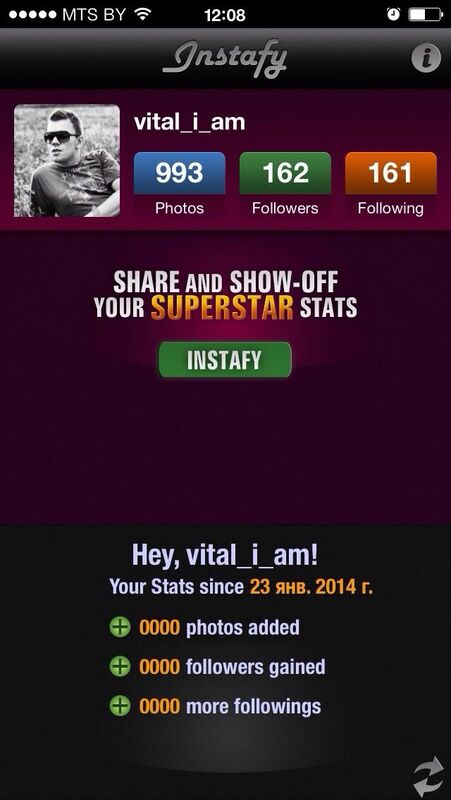 On top of that Statigram lets you receive Snapshots of your Instagram statistics to share with your IG community. That is a great way to enhance interaction with your following and tighten the bonds with your network. And finally the app lets you manage your correspondence with your followers. Statigram is one of a very few apps that let you send private messages to other Instagram users. Visit the company's official website to learn more about the app. 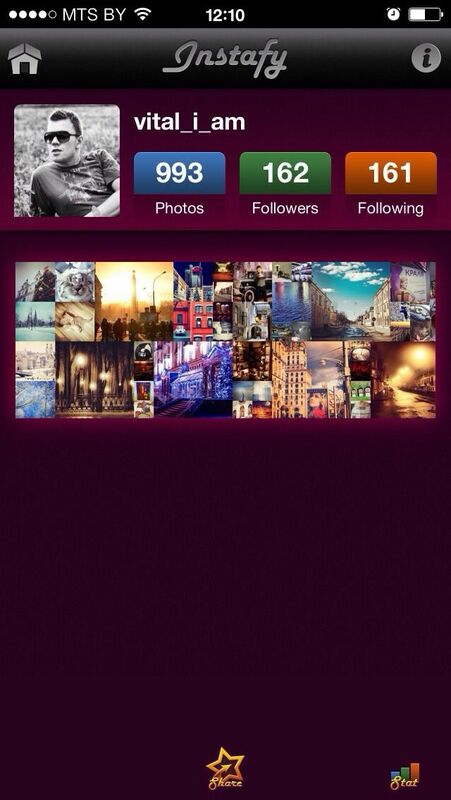 Unfollowgram is a very basic Web-based app that lets you manage your Instagram following. As you know, in Instagram you have to visit each user’s profile to follow/unfollow them. But with the help of Unfollowgram you can clean up your friend list, and delete all users with whom you don't interact with a mouse click. Also, you can use Unfollowgram to set up reciprocal connections and report abusive users. people who follow you but whom you don’t follow back. To check out the app, follow the link. After you sign in with Instagram account, you will get to the dashboard filled with your friends' latest photos along with quick stats about your account. By clicking on an image you can like it or leave a comment. Additionally, you can share the image on Facebook, Twitter, Google +, Pinterest or embed its code on your website or blog. Another cool option Followgram offers is saving the pics that you liked to your private Albums. Free users are limited to 5 albums only. The app not only provides you with a public interface but also you generate a dedicated web address (the so called a vanity URL). It enables you to share your Instagram photos with others outside of the mobile app. Followgram public profile also includes an RSS feed as well as a QR Code. That enables you to download, share (on your website/blog) or direct people to your public Followgram profile. 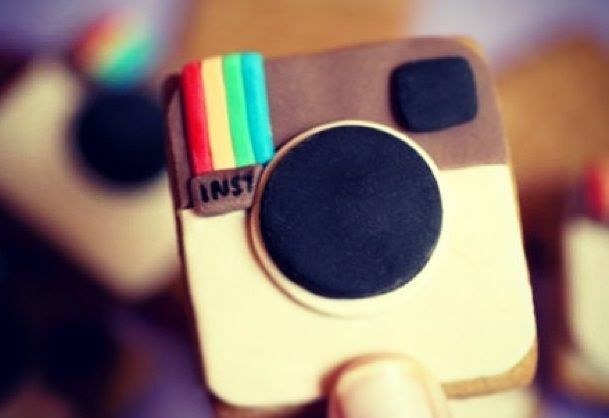 As for Instagram stats, Followgram provides different types of data for free and paid users. 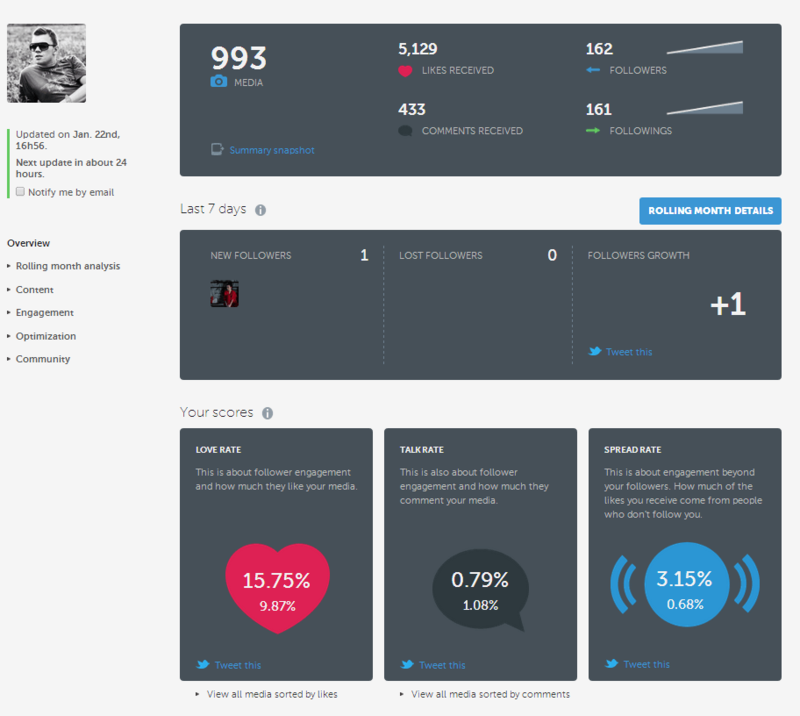 With the Free account you can view some basic stats on your photos, following and engagement. But in order to use the extended navigation and browse by top tags, top filters, top venues you need to upgrade to the paid account. Also, paid users have an option to download the archives of their photos sorted by month, PM other Instagram users, remove any type of ads from their profiles, access Followgram API and enjoy some other privileges. 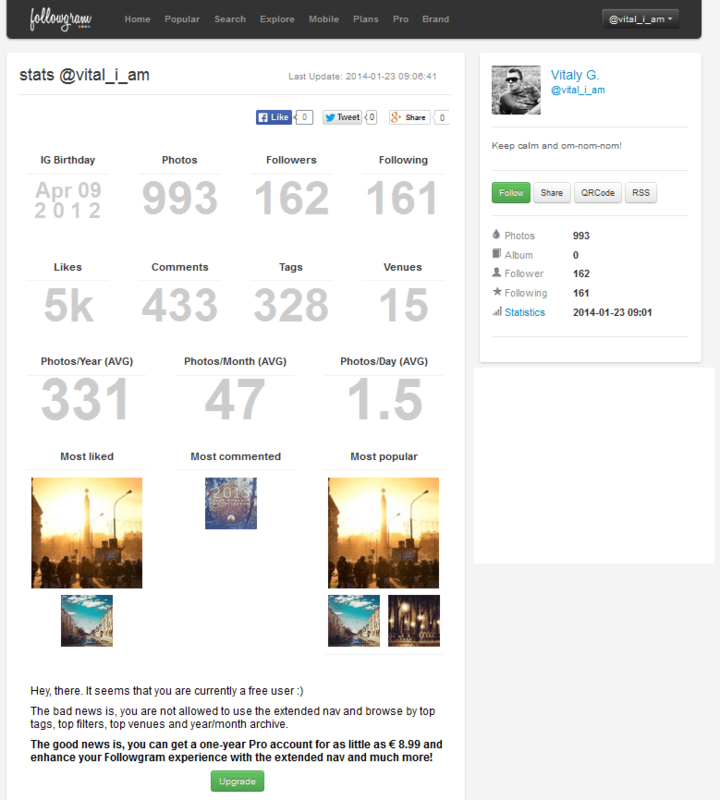 Summing up, Followgram a great tool for managing Instagram content, enlarging following and analyzing Instagram stats. 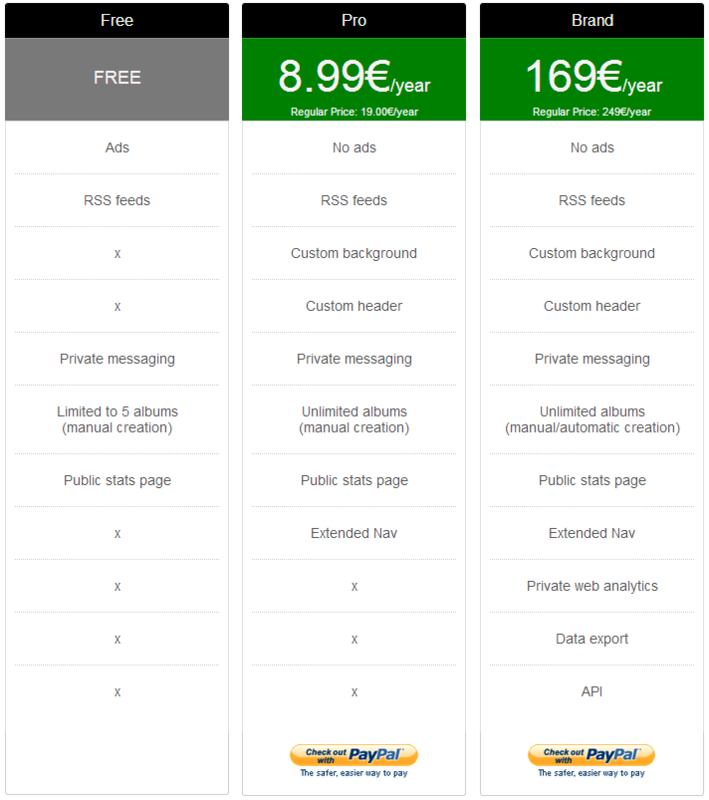 However, some important functionality is available to users only on a paid basis. To test this tool, sign up here. Instafy is free mobile app (available for iPad®, iPhone®, and iPod touch®) that lets you check how popular your Instagram pics are. The main advantage of this app is that it lets you quickly check the basic Instagram stats right from your mobile device. Once you sign up with your Instargram credentials, you will see your profile pic, number of photos, followers and those accounts you're following. 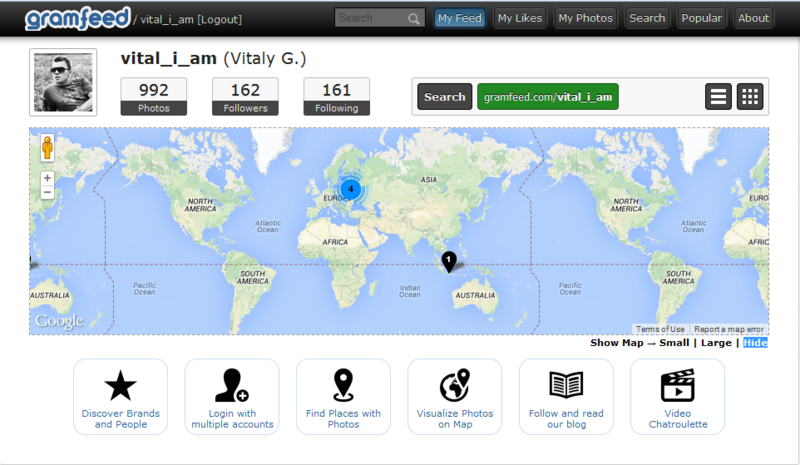 Below you can see your stats starting from the day you joined Instafy. Alas, but there’s no option you can adjust the starting date. The only thing you can do is to regenerate the report at a later point in time. To see more detailed stats, tap on the Instafy button. 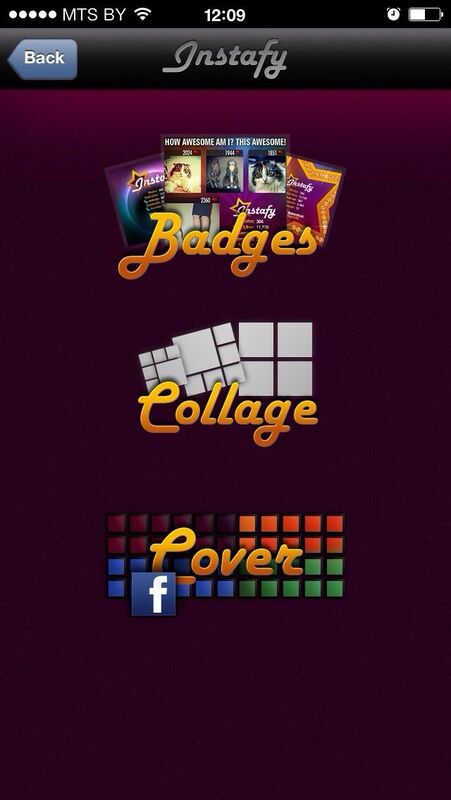 Thus you will get to the menu with 3 options: Badges, Collage and Facebook Cover. The Badges view will get 7 different image types for you: 1 hybrid with your four most popular photos, 1 image of your stats, and 5 images of your stats only. Stats include information about the total number of likes, average number of likes per image, comments and average comments. When your beautiful brief report is generated, you can share it on Facebook or via Twitter. Thus you will draw more attention to your Instagram account and can potentially attract more new followers. In the Collage feature you can create a photo mix of your best pictures. When done, you can also share on most popular social networks. And finally, you can get more exposure for your Instagram, if you create a collage of your most popular images and use it as a Facebook Cover photo. The Facebook Cover feature lets you easily do that. Yes, Instafy is not as powerful as many other Instagram tools, however, it lets you can the basic stats on your Instagram popularity and engagement right from your mobile device. Here you can download this app for free. Copygram is perhaps the most beautiful Web interface for your Instagram content. The home feed has a rather attractive modern design, placing photos in neat rows of three. The best thing about the feed is that it’s not cluttered with data and lets you enjoy Instagram images to the fullest. To check user's info, number of likes and comments, you need to mouse over a particular image. Thus you will reveal the photographer and community feedback, as well as find the options to add a new 'like' or comment. By clicking on the CPGR (Copygram) button you will get into the main menu. Here you can find all the app’s features. I can't say that the app is fitted with an impressive list of advanced features. However, the tool's Search facilities and the Backup option definitely deserve your attention. 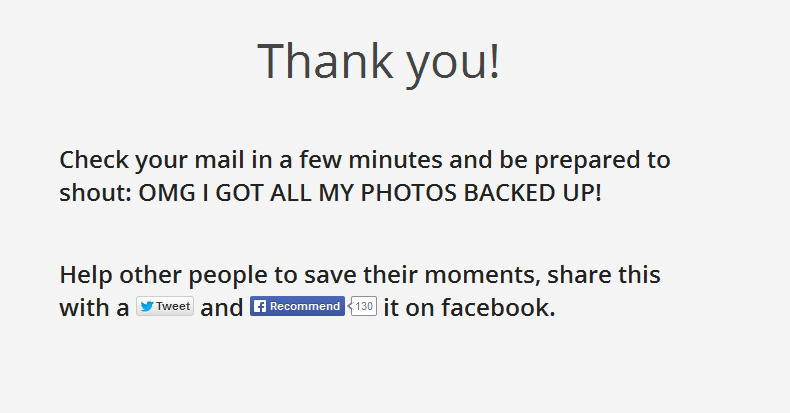 The Backup feature allows you to create an archive of all your Instagram images and the images that you liked. The archive is then sent to your email. 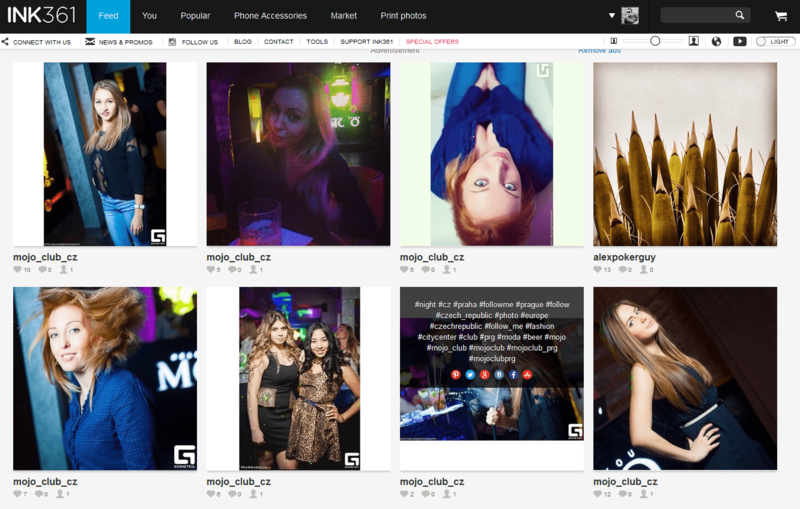 With Copygram you can search for any tagged photos, Instagram users and places. Click the link to check out Copygram Search Guide to learn ways that will make your searches even more precise. The other features include viewing your latest liked photos, featured galleries, settings and some other. Follow this link to test the tool. Ink361 is a free Web interface that allows you to view all types of Instagram content and engage with other users of the mobile platform. Once you login, you will see your main Instagram feed. Below each pic you can see how many likes and comments that photo has and how many people are tagged in it. By clicking on a pic, you can leave a comment, like it, add that image to your Albums or embed on your website or blog. In addition to the neat, well-organized interface Ink361 can boast outstanding sharing abilities. You can share both your and your followers' content on a wide range of social media websites, such as: Facebook, Twitter, Google+, Vk.Com, Pinterest and SubmleUpon. To share images, just hoover over a pic and select a social website to submit it to. That will let you get more exposure for your images and also help in building your following. Also, since Ink361 lets you get maximally full info about each user, it is a great tool for building relations on Instagram. By clicking on any user's name you can explore their profile in detail: check how many followers they have, how much content they submit, learn their email and website address (if they provide this info. Thus you can easily figure out whom you will follow and follow back, with whom you can build relations (e.g. build links) outside Instagram, etc. Like Gramfeed, Ink361 provides you with the list of the most popular users in a particular niche. 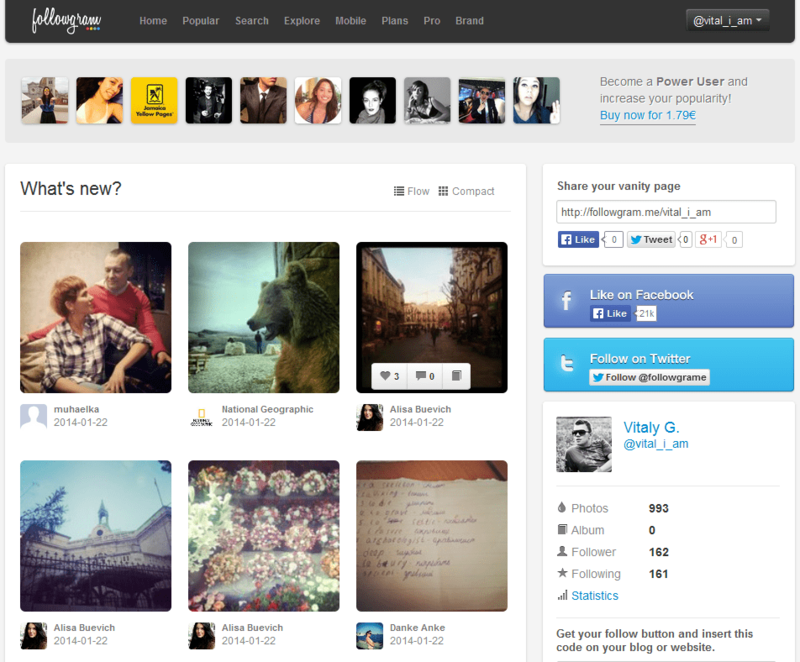 Jump to the Popular menu to discover the most popular people and brand, tags, filter, albums and featured users. 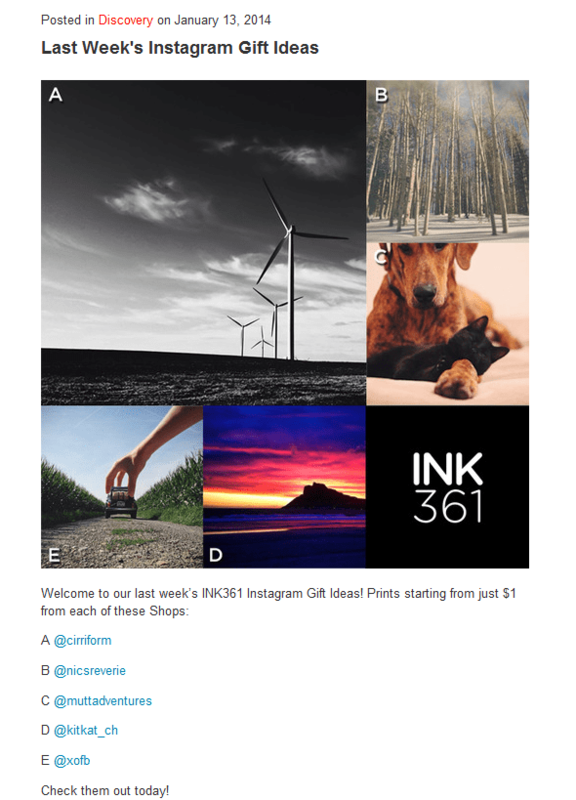 The official Ink361 website also has a Marketplace section where you can buy photo accessories for your smartphone or even order different prints of your favorite Instagram images. Striking the balance, Ink361 is a great tool for managing Instagram content and building following. Visit the company's official website to check it out! No doubt, Instagram is a great mobile platform for business. And these 7 supplementary apps will help you turn the app into the most powerful tool for managing your visual content. Have you ever used any of the apps? Do you know any other tools that can manage your Instagram content?